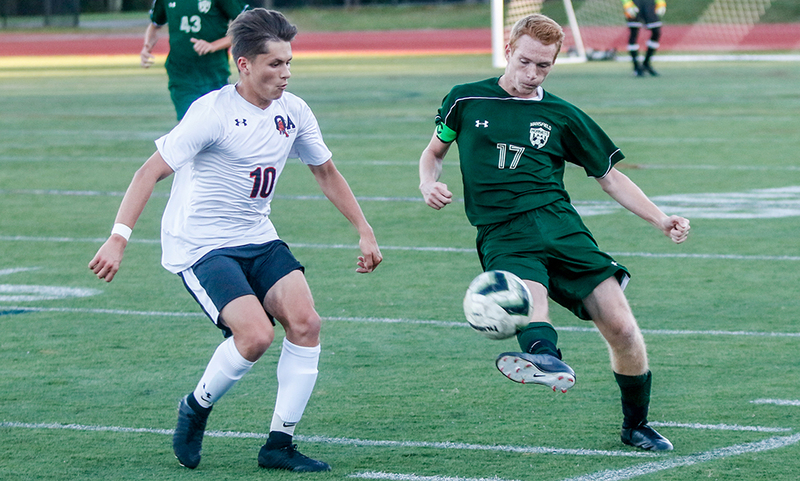 #4 Oliver Ames, 1 vs. #1 Nauset, 0 – Final (5-4 PKs) – Oliver Ames went toe-to-toe with the defending D2 State Champs, and one of the highest ranked teams in the state, and prevailed in penalty kicks. Senior goalie Jack Carroll made a diving save to his left on the third shot of PKs to make a huge save. James Gillespie, Chris Lawrence, Matt Alvarado, Brandin Osborne and Nathaniel Cardoza all converted their penalty attempts, with Cardoza’s strike clinching the win. Fourth-seeded OA advances to its third D2 South final in the past four years and will take on #6 Pembroke on Tuesday, November 14th at 7:15 PM. #5 King Philip, 3 vs. #2 Newton South, 2 – Final (2OT) – Click here for a recap and photo gallery of this game. #2 King Philip, 1 vs. #1 Somerset-Berkley, 0 – Final – Click here for a recap and photo gallery of this game. #2 King Philip, 0 vs. #1 Newton North, 3 – Final – King Philip fell in the D1 Central East Final (22-25, 13-25, 11-25), finishing the season 20-3. Sydney Phillips had nine kills, five digs, and two aces and Elise Pereira added four digs. Kat Kmetz and Grace Ely added two kills for the Warriors.